Blizzard has rolled out a whole wave of unlockable goodies across Diablo III, Starcraft 2, Overwatch, Hearthstone and Heroes of the Storm to celebrate the 20th anniversary of the original Starcraft on PC. Each game has a different reward to claim ranging from small profile portraits to exclusive skins featuring Sarah Kerrigan (yay!). Starcraft Remastered (full version) – Starcraft 20th Anniversary UI Skin. Starcraftr II – A set of three user interface skins (one per race), a portrait and a decal. World of Warcraft – /salute a Starcraft mini-pet and receive the “Salute to Starcraft” limited time achievement. Overwatch – Sarah Kerrigan Ghost Skin for Widowmaker. Hearthstone – Play the Starcraft themed Tavern Brawl between March 21st and 25th and receive 3 free Kobolds & Catacombs packs. Heroes of the Storm – 20th anniversary Protoss, Terran and Zerg display pictures featuring artwork from the original game. Diablo III – Dominion’s Revenge pet. I’m a little disappointed in the Heroes of the Storm reward in particular. Considering the amount of Starcraft Heroes – like Raynor, Kerrigan, Tychus etc – you’d think they’d have something a little more substantial than three display pictures. Both SCII and Heroes of the Storm even share the same engine! Rumor has it the next revealed hero will be from the Starcraft Universe but the dev team could have done so muchg better here. 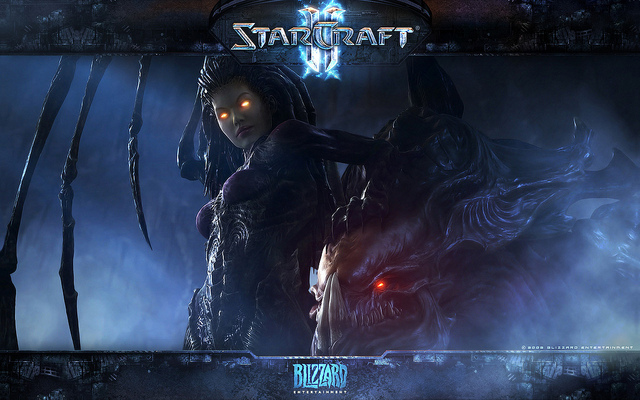 For more details check out the official Starcraft II site.